Celebrate the Erie Canal Bicentennial and kick off the World Canal Conference with Tour the Towpath, an event co-sponsored by the Town of DeWitt. Tour the Towpath is an assisted interactive 36-mile cycling experience along the Old Erie Canal Towpath trail starting in Rome and ending in DeWitt. Riders will have the choice of either a single-day ride on the 24th of September, or an extended two-day trip from the 23rd to the 24th. Along the way, riders will have access to a host of amazing historical sites, quaint Old Erie Canal settlements, breathtaking nature parks, and charming local eateries and cafes. Participants are encouraged to go off-trail and explore what these surrounding communities have to offer. Along the way, they can collect raffle tickets for the Turn-Off the Trail Challenge. This gives them the chance to win cool prizes while exploring the historical culture of Erie Canal communities. As a special bonus this year, an extended ride will be offered beyond the trip’s culmination in DeWitt to all interested participants. Sam Gordon, Director of Planning and Zoning for the Town of DeWitt, will lead a guided tour from DeWitt to reach the kickoff event for the World Canals Conference at the Syracuse Inner Harbor. 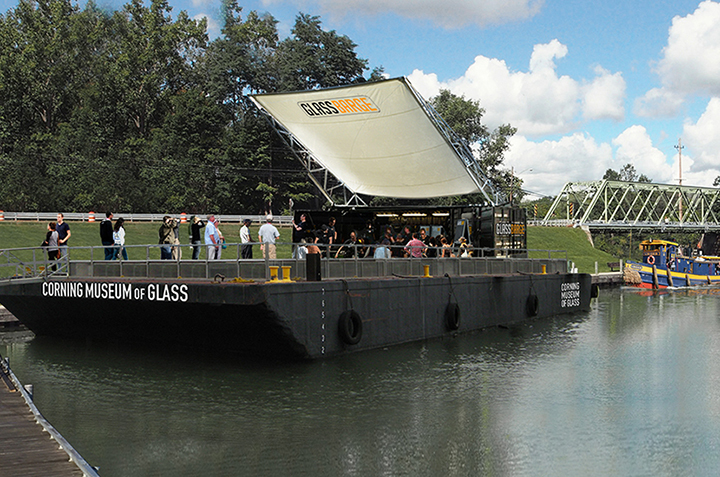 Conference events include a live glass blowing demonstration by the Corning Museum of Glass, musical performances, and boat tours of Onondaga Lake, with plenty of refreshments available from an assortment of food trucks. The Tour of the Towpath is a family-friendly event and will have tour guides as well as bicycle mechanics on staff to fully support the ride.